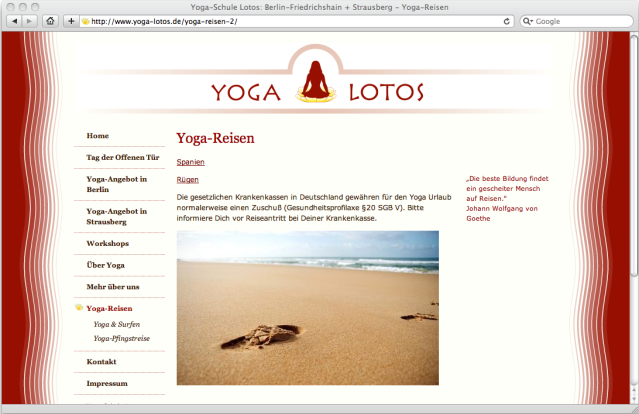 Website templates for Yoga-Schule Lotos, a family-run yoga school in Berlin and nearby Strausberg. To create the graphics, I combined elements of the school’s existing design materials in one unified design. 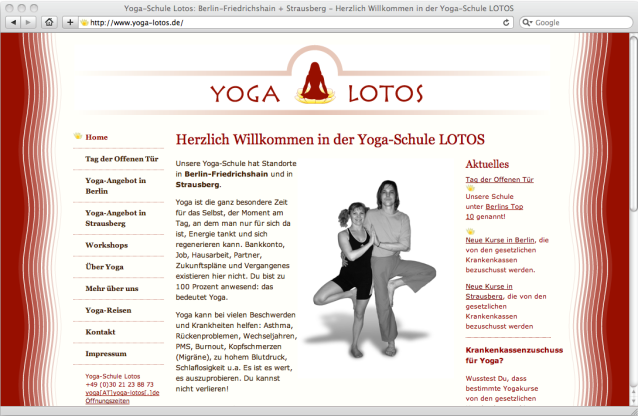 I built the website with a user-friendly, open source content management system, which allowed the owners to create all the pages and add all the content themselves, and to easily update and edit the website. I helped them plan the content and menu structure, and provide technical support as needed.